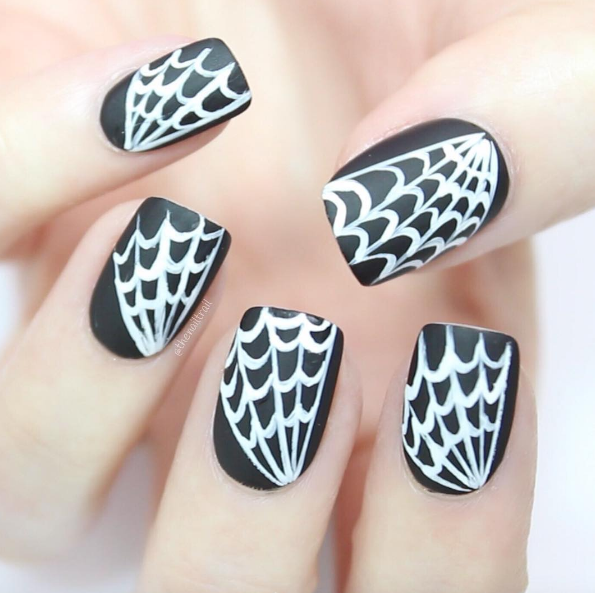 If your entire wardrobe (and outlook on life) is black, these nails are for you. 1. Simple, with just a bit of polish and a ton of personality. 2. With a touch of white polish mixed in, you can achieve an elegant and fashionable black marble look. 5. Black nails also look great with a half-and-half French manicure. 6. Rose-gold makes a good base for black. And if you want to take it a step further, try it with geometric shapes and patterns. 8. And don't worry about whether your nails are long enough to pull it off. Black polish works on short nails, too. 10. Or go gold with just a single nail on each hand. Perfect for those fancy parties you've got coming up. 11. This faded glitter look is also really elegant. 12. If you want to take the design past the nails, pair the black polish with some black ribbons. 13. If you need more balance, try a more mod look with some white polish to even things out. 14. 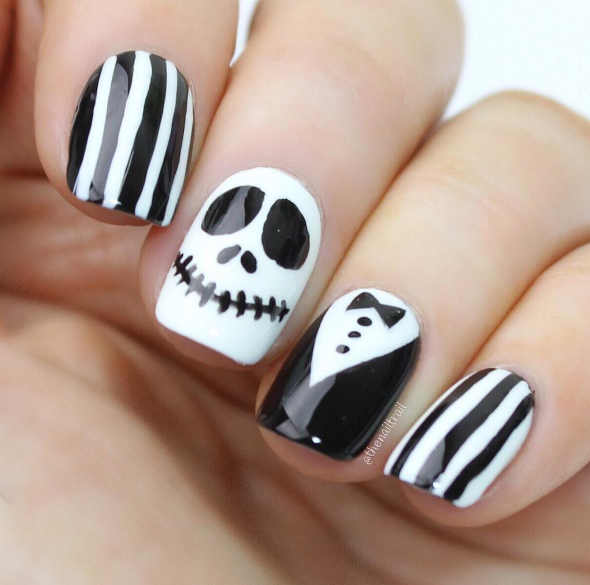 Halloween is right around the corner, so go crazy with the spooky black and white designs. 15. You can also take advantage of negative space to create sophisticated designs. 16. And don't forget... even though black nails make a certain kind of statement, you can always find a way to express your love.